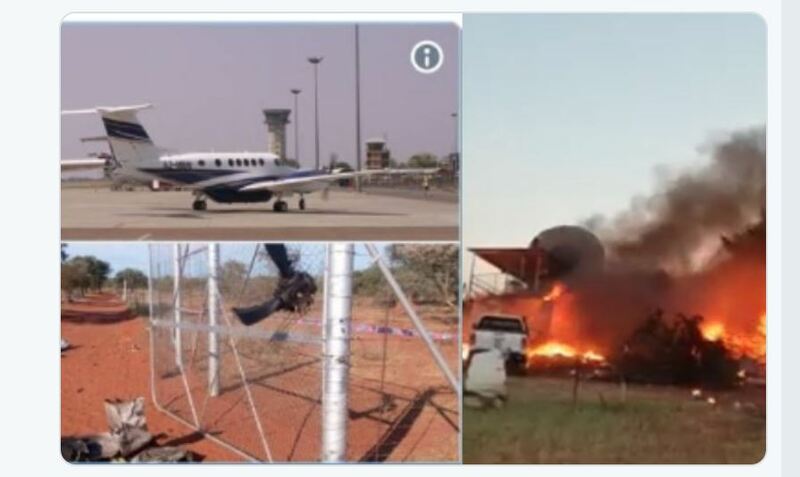 Video footage which was taken moments after the King Air, twin-engine aircraft crashed into the Matsieng Aerodrome Clubhouse shows a collapsed building and several cars engulfed in flames. 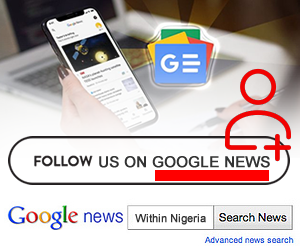 It’s understood a man who was attending a baby shower with his wife got into a fight with her, but after assaulting her, was chased away from the venue. A witness claims that the man, who is a pilot, stole an aircraft before calling a friend who was at the baby shower and asking where his wife was. The man at the party apparently realised what was happening and evacuated the building which was struck by the aircraft minutes later, killing only the pilot. 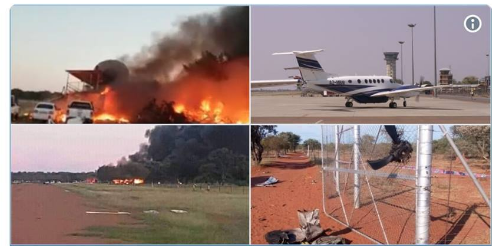 Chris Briers of Matsieng Botswana has alleged that a Kalahari Air Services pilot committed suicide in this spectacular fashion, as he was at a party, and allegedly got drunk and into a fight with his wife. He was then asked to leave.